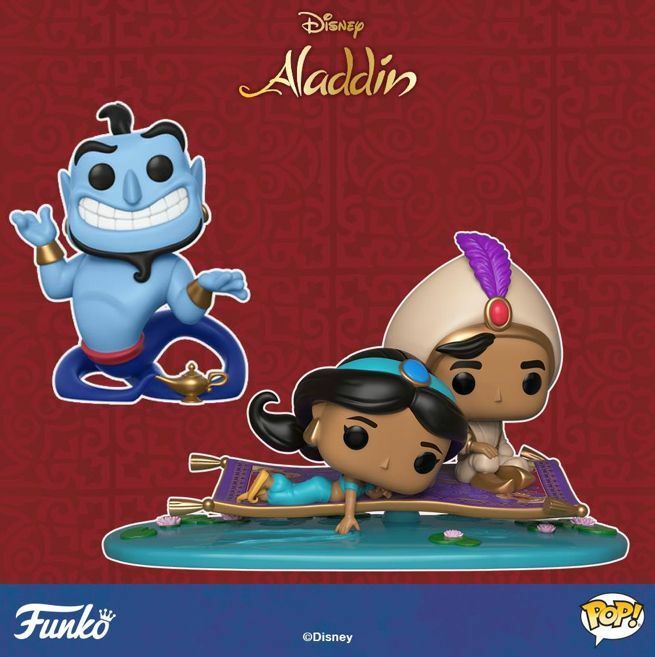 Funko is expanding their collection for Disney's Aladdin in a big way. Today they unveiled a extensive lineup of new Pop figures, Pop Keychains, Mystery Minis, 5 Star figures, a Movie Moments figure, and SuperCute Plush. You can shop the entire collection of Aladdin Funko merch right here, including past releases. The new items are available to pre-order now with shipping slated for December. We highly suggest jumping on the Magic Carpet Ride Movie Moments figure first, followed by the Aladdin Genie with lamp. Outside of those figures, you'll also find Pops of Jasmine (1-in-6 Chase with apple), Elephant Abu, Iago, and Prince Ali. The new 5 Star lineup includes Aladdin, Jafar, Genie, and Jasmine - each with their own accessories. 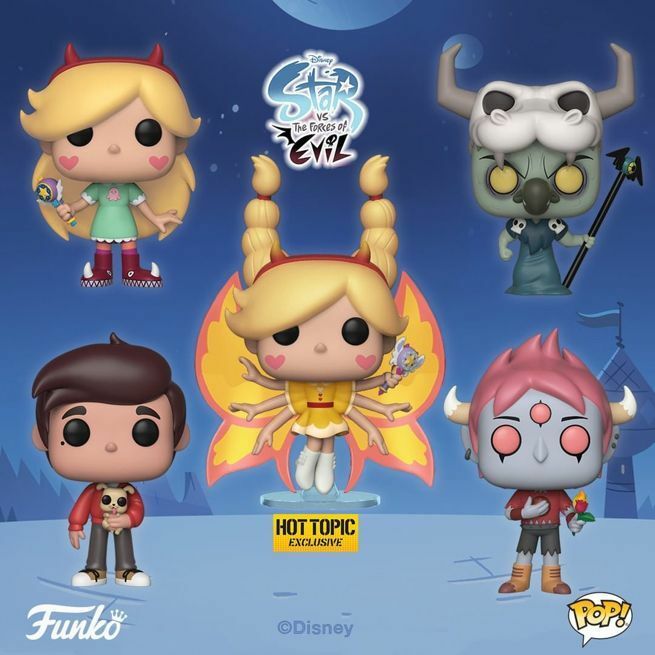 On a related note, Disney XD's Star vs the Forces of Evil animated series got the Funko Pop treatment earlier this week. The lineup includes Star Butterfly, heir to the royal throne of the Butterfly Kingdom, the villainous Ludo, the kind and responsible Marco Diaz, and the short-tempered demon Tom Lucitor. You can pre-order the entire collection of Star vs the Forces of Evil Funko Pop figures right here with shipping slated for January. Look for a Butterfly Mode Star Pop figure to hit Hot Topic as an exclusive in December. "Star vs. The Forces of Evil" is an animated comedy adventure that follows fiercely awesome teen princess Star Butterfly. After receiving an all-powerful magic wand for her 14th birthday, Star is sent by her Royal Parents to live with the Diaz family on Earth, bringing along her own unique interdimensional style to her new home. Together with the Diaz's teenage son Marco, they navigate high school and embark on dimension-hopping adventures across the multiverse while keeping her wand out of the clutches of evil."